Greetings in the name of our Lord and Saviour, Jesus Christ. 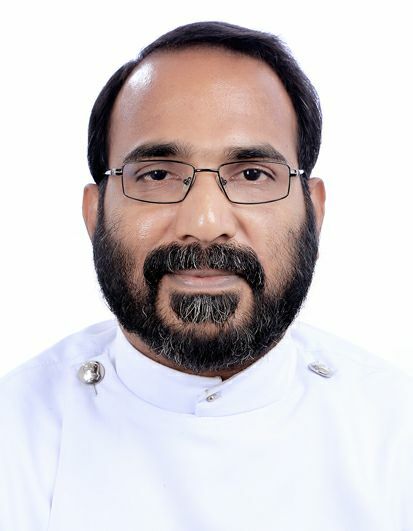 At the outset, I thank God Almighty and the Holy Synod of the Mar Thoma Church for giving me an opportunity to serve this wonderful community in the coming years. Also I thank all the parishioners for the warm welcome, care and support. I hope and pray that the days ahead will be fruitful in glorifying God, getting to know each other and nurturing each other with prayers and support for the second coming of our Lord Jesus Christ. Let us remember with gratitude the service of all Achens who served this parish, especially the inspiring leadership of K J Philip Achen and family. Reflect on this story .A fanatic Christian went to a Buddhist monk and read out from the Bible. The monk had tears in his eyes and said, “What a wonderful truth!” The fanatic was very happy. He thought he had done a great job and could convert the monk. That evening he went to the Church and prayed “Oh Lord, I got a Buddhist monk confess that you’re the son of God and that you’re divine.” The Lord replied, “Does this act inflate your Christian ego or reduce it? “ A true Christian should reduce his ego and finally have no ego. That is the essence of enlightened living. God understands our desires not just through the occasional utterances that we call prayer in the traditional sense. Rather through every thought we think, every word we speak and everything we do. Most of us do not think of life as a prayer. But the truth is, prayer does not begin with kneeling down or lighting a candle or sitting in meditation. As John Bunyan said, right prayer sees nothing substantial or worth being concerned about except God. This month we recollect the manner in which Jesus Christ fulfilled his promise by outpouring the Holy Spirit on the Pentecost gathering found in Acts.2. The division and disunity that happened during the building of Tower of Babel was corrected on Pentecost Day. Thus every Pentecost day is a reminder to the Church about the significance of unity and proper communication. Together we stand, divided we fall.